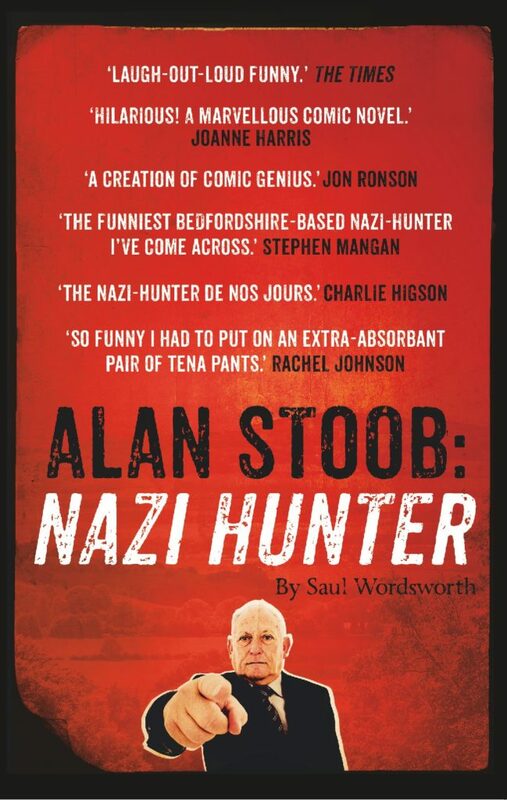 In January 2012 I created a character on Twitter called Alan Stoob. Alan is an elderly Nazi Hunter based in Bedfordshire. He is 77, has a Dutch wife and a troubled past. And here is his Twitter account. In March 2012 I began writing a diary based on the character. 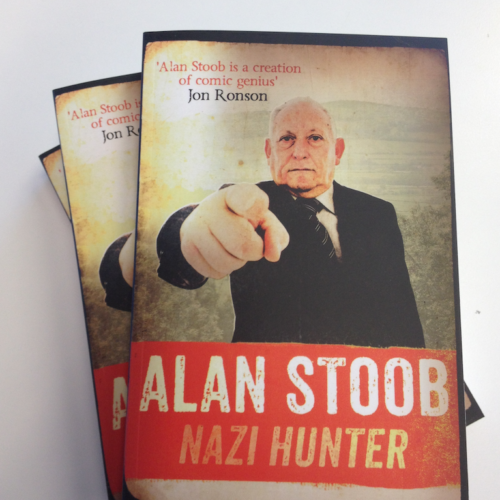 ‘Alan Stoob: Nazi Hunter’ was published by Hodder & Stoughton in October 2014. Here’s what The Times said. Alan Stoob and its hero are laugh-out-loud funny… the human story at the heart of the diaries charting Alan’s failing marriage and his relationship with his depressed fortysomething son is tragically comic. Here’s a BBC radio interview I did with comedian Phil Jupitus. To buy a Stoob mug click here (makes tea taste hunty). The book has been optioned in Hollywood. Any developments will be updated on this page.